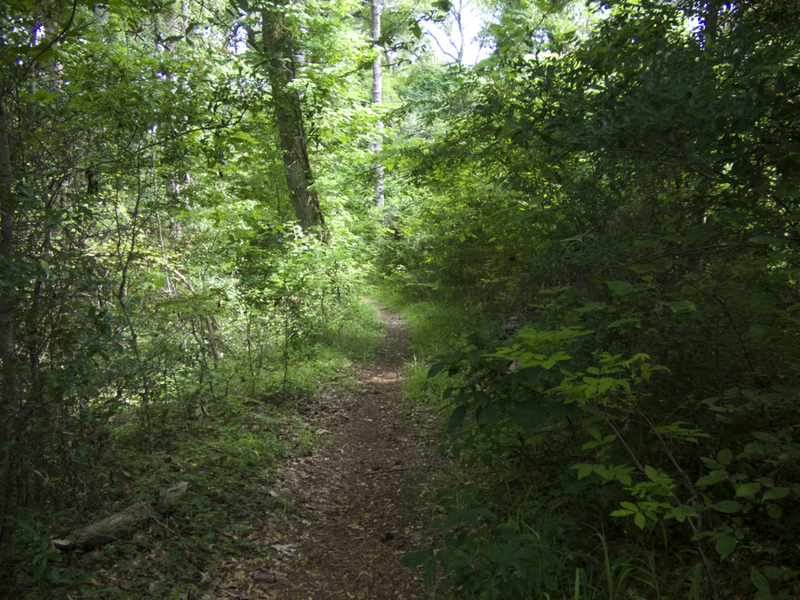 Trail in Kitty Hawk Woods. It’s a little difficult to know exactly where he was standing but it’s just about a sure bet that the “banke or hill” he stood upon was a large sand dune and he was looking west at a maritime forest. Maritime forest occur on the leeward side of sand dunes. Protected from the most damaging of the ocean’s winds, remarkable diverse forest take root. Along the swamps and marsh at the lowest levels, cedar trees do grow. But there are also hardwood trees growing on the ridges. The ridges are actually relict sand dunes that have accumulated soil over the past 6000-7000 years. At one time, a continuous maritime forest stretched from Southern Shores to Jockey’s Ridge, but development and the shifting environment that is a normal part of the evolution of a barrier island has reduced what was once a massive woodlands. There are a number of protected maritime forests on the Outer Banks. One of the most accessible and the largest is Kitty Hawk Woods. The Woods Road in Kitty Hawk, which is where the Outer Banks Marathon begins, goes through the heart of the reserve. There is also a multi-use path that parallels the road. For the more adventurous, there are hiking or walking paths in the park. Suitable for almost anyone six years of age and up, they are a great way to learn about a side of the Outer Banks that is often overlooked. In the summer, insect repellant is a necessity for walking the trails. Click here for a trail map.